In order to compare entries of a Map by values, you can use the newly added Map.Entry.comparingByValue() method from the java.util.Map.Entry class. 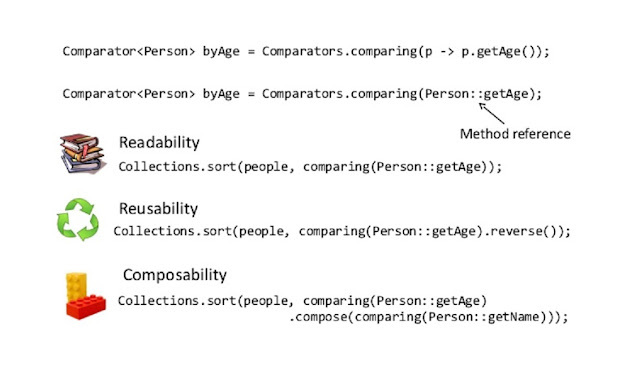 This is the counterpart of comparingByKey() method which we have used in the last article. Both of these methods are overloaded to work with both Comparable and Comparator objects. Once you sort the stream, you can do whatever you want to do e.g. if you just want to print keys, values, or entries in sorted order, just use the forEach() method or if you want a Map which is sorted on values then you can use the collect() method of stream class. This method accepts a Collector and allows you to capture all elements of Stream into whatever collection you want to. For example, if you want a sorted map then you can use the toMap() method of java.util.stream.Collectors class. This method is overloaded and provides a couple of choices, for example, you can collect entries in any kind of map or you can also specify the kind of map you want e.g. for keep entries in sorted order, we'll use the LinkedHashMap. It also allows you to break ties in case of same values e.g. you can arrange them in the order you want to. 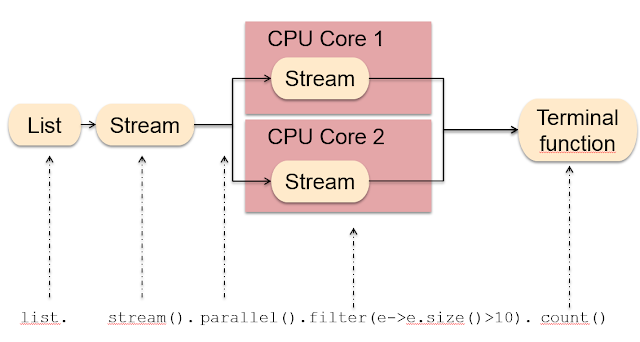 Btw, If you are curious, you can also see the Pluralsight's From Collections to Streams in Java 8 Using Lambda Expressions course to learn more about new features of Java 8, which is specific to collection framework. 1. Get the set of entries by calling the Map.entrySet() method. 2. Get the stream of entries by calling stream() method. 3. Call the sorted method with a Comparator. 4. Use the Map.Entry.comparingByValue() comparator to sort entries by values. 5. Collect the result using the collect() method. 6. Use Collectors.toMap() method to get the result in another Map. 7. Provide LinkedHashMap::new to the last parameter to force it to return a LinkedHashMap, to keep the sorted order preserved. 8. In order to sort in decreasing order, just reverse the order of Comparator using Collections.reverseOrder() or Comparator.reverse() method of Java 8. This is the new method added into Comparator class in Java SE 8. You can further see The Complete Java MasterClass for the full list of new methods added into key Java classes e.g. Java Collection Framework, String, and Comparator etc. s Once you follow this step you will get a Map which is sorted by values. Now that you know the theory and steps, let's see the code example in the next section to get it right. Here is our complete Java program to sort a Map by values using Java 8 features e.g. new methods on existing classes in Java 8 by evolving them using default methods and static methods on interfaces. In this example, I have got a Map of the map of items and their expenses e.g. rent, utility, transportation etc. The Map key is String, which represents item and value is Integer, which is expenses. Our task is to sort the Map by values to find out which item cost us most and print all items in their decreasing order of values. System.out.println("map after sorting by values in descending order: "
You can see that before sorting the map has a random order in terms of values but first, we have sorted them in the increasing order of values and later we have sorted the same Map in the decreasing order of values, that's why rent comes first because it cost us highest. 1) Use static import to shorten the code, you can static import both Map.Entry and java.util.stream.Collectors classes. 2) Use method reference in place of lambda expression wherever you can. See this article to learn more about how to convert lambda expression to method reference in Java 8, if you are not familiar with that. That's all about how to sort a Map by values in Java 8. You can see that it's so easy to sort the Map using new methods added to existing classes. All that is possible because of default method feature of JDK 8, which allows you to add new methods to existing classes. Before this enhancement, it wasn't possible in Java without breaking the existing client of interfaces because as soon as you add a new method to an interface, all its clients had to implement it. This is not required anymore if the method is default or static because they are not abstract but concrete methods. Thanks for reading this article so far. If you like this article then please share with your friends and colleagues. If you have any questions or suggestions then please drop a comment.